Eleven times the return on investment – that is the reward for creativity. This is per a Forbes article, which reports results for creatively-awarded campaigns over those non-creatively awarded. The brands behind the stand out creative campaigns have found the right balance of effectiveness and creativity. They are bringing the wow factor, while simultaneously ensuring critical messages are not lost. This is the same reason why guerrilla marketing has become a go-to marketing strategy for many brands. It can achieve brand goals – and a high ROI – in a cost-effective manner. No matter the type of campaign, Forbes goes on to disclose the “most effective combination of creative tactics to drive purchases.” The first is originality – moving away “from the obvious and commonplace,” which guerrilla marketing is known for. The other is elaboration, adding to basic ideas to make them “more intricate.” Of the two tactics, originality is the most often used, since brands and agencies equate creativity more so with novelty. And, this is often also the case with guerrilla marketing. Many event marketers and agencies are sensitive to the fact that moments with passersby are fleeting. So, they embrace innovative ideas in their simplest forms to stop people in their tracks. Yet, the truth is, guerrilla marketing tactics can be embellished to boost results. Event marketers and agencies can use these guerrilla marketing tactic add-ons to boost campaign effectiveness and ROI. 1. Start a selfie campaign. Selfies are engrained in our society. 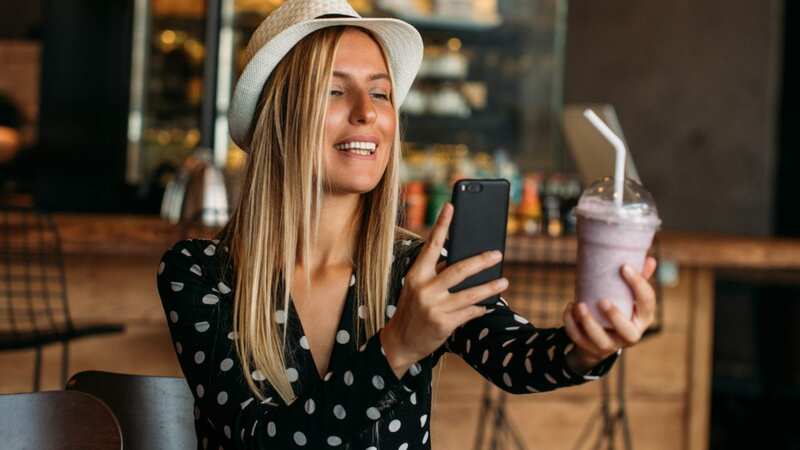 In fact, in 2016, Adweek reported 93 million selfies taken each day, with 1,000 “posted to Instagram every 10 seconds.” This matters to event marketers and agencies because, when their brands are part of these selfies, their reach and return on engagement is amplified. And, the odds are to their advantage, since 98% of consumers will create content during a brand experience. Even better, 100% will share it. Street team members or flash mob staff, for example, can pose with consumers for selfies or supply use of branded props. Then, they can encourage consumers to post to their social media accounts using a hashtag specific to the campaign and brand. The motivation for consumers might be a chance to win a prize, for example. And, the benefit for brands is greater exposure, as well as up to 10% higher chance of conversion. 2. Make your brand’s presence a surprise. Your mind may go to a flash mob, and those can be effective for brands with the resources to make them successful. But, that’s not the intent of this guerrilla marketing tactic. Instead, look to “The Ultimate Selfie Surprise Photo Shoot” executed by Forever 21 last year as an example. Knowing how much people enjoy using murals as photo backdrops, the fashion brand staked out the corner of a popular mural to give photo seekers a huge surprise. What would have been a simple selfie soon became a full-blown photo shoot when the company’s brand ambassadors came on the scene. Consumers got to enjoy a professional photographer, hair, makeup and use of Forever 21 clothes, which they got to keep! It was an experience that participants aren’t soon to forget. And, it generated plenty of related content for Forever 21. A simpler idea is to disperse a street team for random acts of kindness, where they can randomly assist consumers with carrying bags, opening doors or picking up dropped items, among other tasks. This helps consumers let down their guards, trust promo staff and easier engage in conversations. Boost Mobile once offered train commuters a free cup of coffee to spark interaction. 3. Go live on social media. Live streaming is a big industry – one that could potentially reach $70 billion by 2021. It’s driven by consumer demand, mainly millennials and Gen Z who prefer to watch brands’ live videos than read their posts. In fact, 80% of all consumers share this preference. They watch Facebook Live Videos, for example, three times longer than regular videos. More importantly, 64% are willing to buy from this video experience alone. Forward-thinking brands, such as Starbucks, realize the popularity and benefits. It’s why the coffee giant took to Facebook Live when it traveled cross-country to Queens, NY, for National Voter Registration Day. Doing so allowed the company to show their commitment to the communities it serves, as well as to share its views on the importance of voting. It also allowed people not on-site, even those throughout the world, to see the company’s good deeds in action and to get to know the brand for more than its beverages. And, while this is a worthy example of Facebook Live in action, brands should know 53% of viewers tune into funny and entertaining videos more than any other segment. So, those which use creativity to deliver on these attributes might expect better results. 4. Transport consumers off the street with virtual reality. At South by Southwest (SXSW), Samsung gave attendees downtime and an experience with its Gear VR virtual reality device. All they had to do was Tweet #VRonDemand, and street team members came to their rescue via pedicab. The destination? A “fantastical far-away VR travel experience.” And, the initiative demonstrated that people are enthusiastic about virtual reality. Over four days, 350 experiences were provided, resulting in 305 million social impressions. But, other brands that don’t make or sell VR devices are getting in on the action, too. Recently, brand ambassadors traveled to bars and craft beer events in the Northeast to give beer enthusiasts a virtual tour of three breweries. The initiative was dubbed “Brew Reps’ Virtual Beerality Tour.” And, alcohol brands, such as those featured, are increasingly looking to event tech to give consumers a look at facilities to entice them to visit. Or, they might provide a history of the company to show transparency and build trust. The same purposes can be applied for most industries, giving brands of all kinds ideas to transport and wow consumers anywhere. Guerrilla marketing is a great way to reach audiences. One of the best ways to improve ROI for any experiential campaign is to add a lead generation component. Want to learn how? Download the free guide below.